At the office of Priti Naik, DDS, we specialize in family dentistry in Mclean and Tysons Corner. We’re all about making our patients feel like they’re part of our family, and providing caring, patient-focused care at every stage of life. One of the biggest benefits of a family dentist is that you can build a truly long-lasting relationship. Family dentists specialize in treating patients of all ages. We can get to know you and your kids, and learn more about you on a personal level throughout the years. This also means we can get a better understanding of your oral health, and the challenges that face each member of your family. In turn, this leads to more informative, proactive treatment, and better patient outcomes. Most family dentists have flexible hours. It can be hard to make time in your busy schedule to see the dentist. That’s why, at the office of Priti Naik, DDS, we offer after-hours appointments, as well as early morning Saturday appointments. We’re always happy to be flexible for our patients. This is also beneficial when it comes to emergency dental treatment. If you or one of your children suffers a dental injury, or has an issue like a severe toothache or a damaged piece of dental work, you’ll be able to get an emergency same-day appointment from our office. Dr. Naik works with infants, children, and teenagers. Whether you have questions about a teething infant,or you need dental sealants or fluoride to prevent your child from developing cavities during Halloween, we’re here to help. 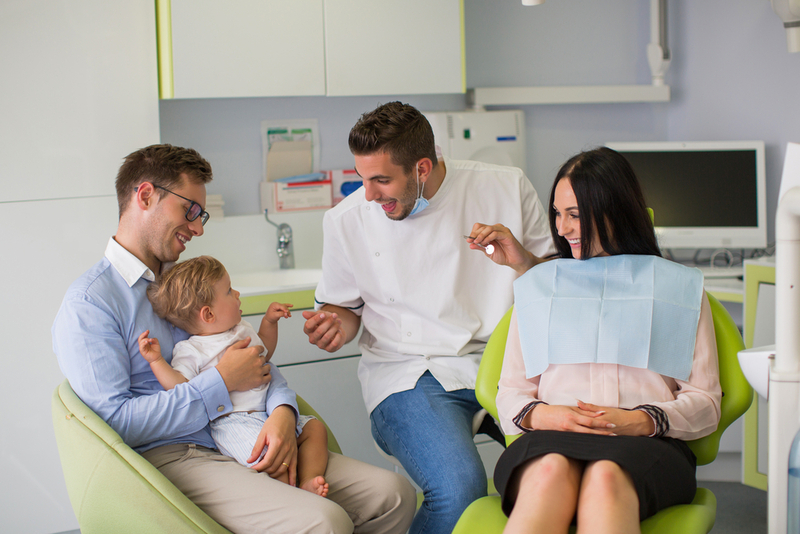 We’ll be here for you throughout every stage of your child’s growth and development, to keep their oral health intact and guide you as you make decisions about their dental care. At the office of Priti Naik, we offer comprehensive care for the whole family. From pediatric dentistry to general care like root canals and dental crowns, and even restorative treatments like dental implants, we’re a “one-stop-shop”. With our advanced dental technology and Dr. Naik’s years of experience, you can rest assured that you’ll always get stellar care at our family dental practice. Learn More – Or Schedule A Consultation Today! ‍Still not sure that we’re the best choice for a family dentist in Vienna or Tysons Corner? Learn more about our services online, take a look at some of our patient reviews and testimonials, and check out our special offers for new patients. Ready to get started? Contact us right away to set up an initial consultation and oral exam at our office. Give us a call at (703) 288-1800, or stop by our office at 8230 Boone Blvd, #320, Vienna, VA 22182 to schedule your appointment.